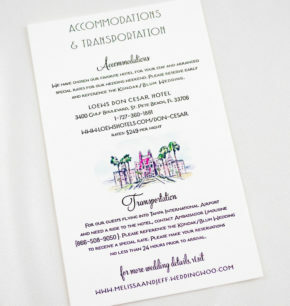 Melissa & Jeff tied the knot at the Don Cesar Hotel located in St. Pete Beach overlooking the beautiful, pristine gulf beaches. 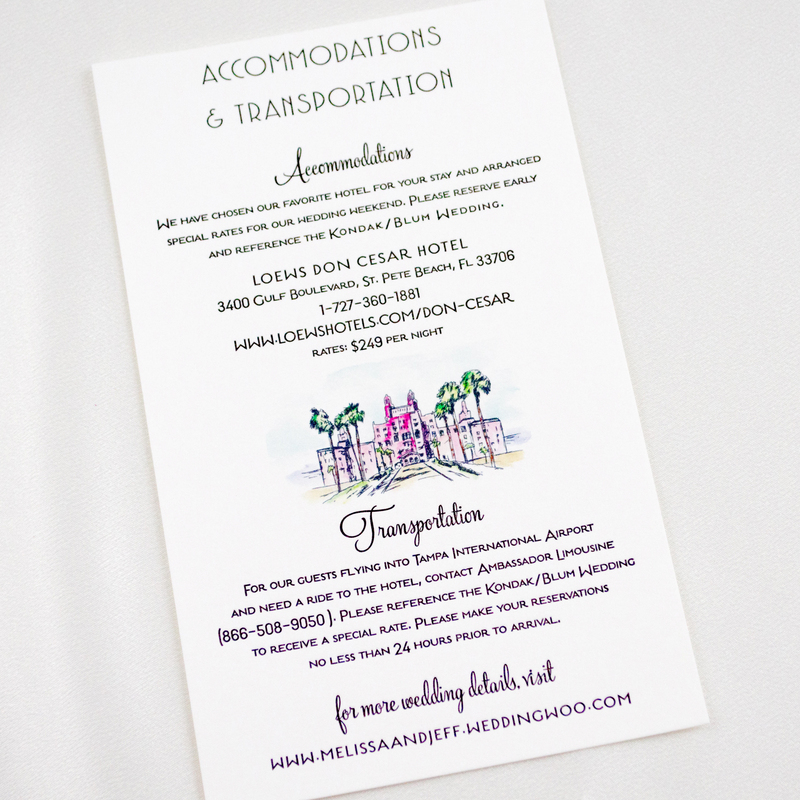 This stunning hotel opened at the height of the Gastby era, and Melissa wanted to incorporate into her wedding invitations the iconic elements of the roaring 20’s and Florida’s tropical beauty. 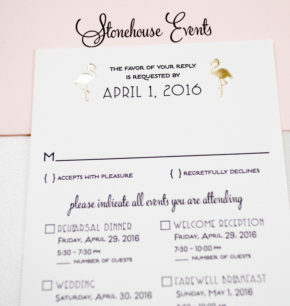 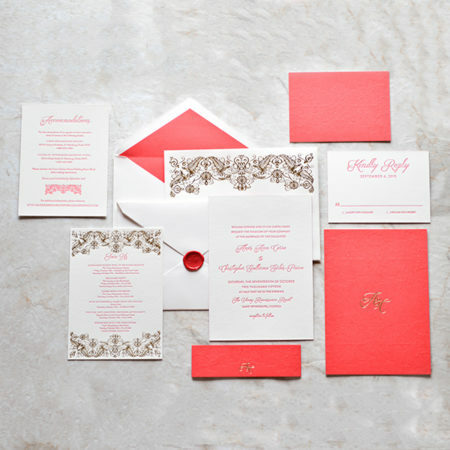 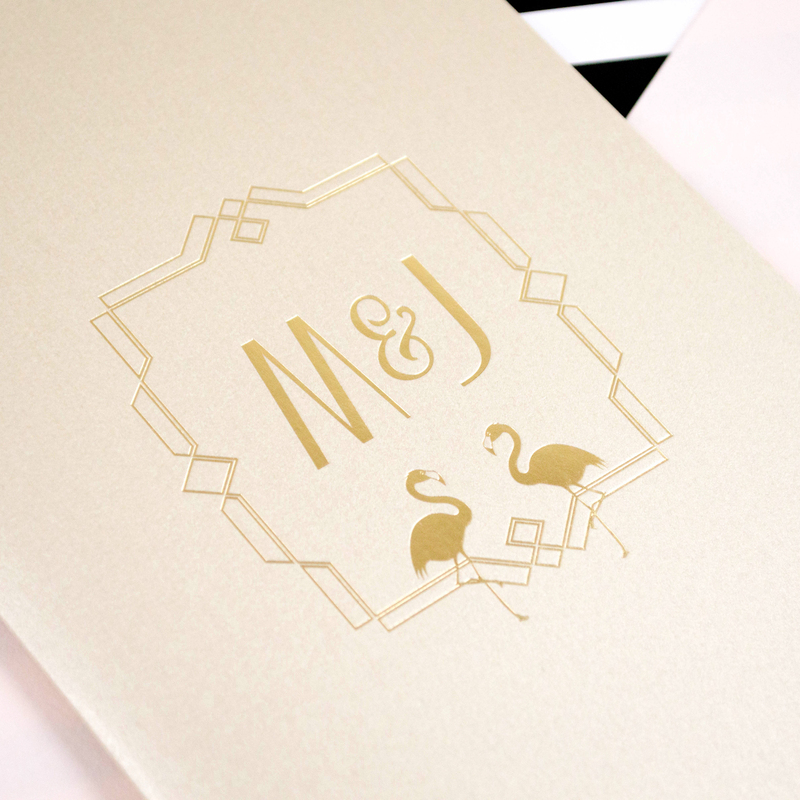 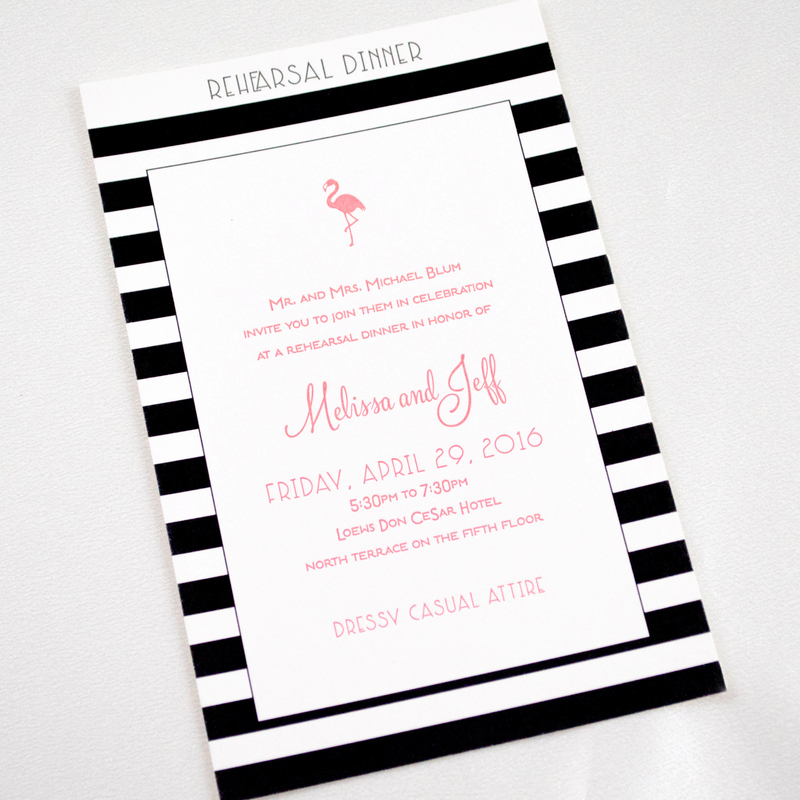 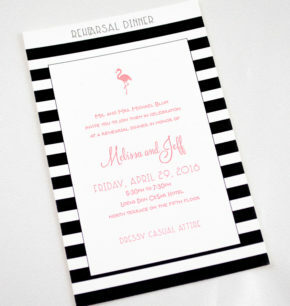 To bring their vision to life, we designed a simple, yet elegant Deco motif to display on the invitations and created a custom monogram showcasing two flamingos and geometric patterns. 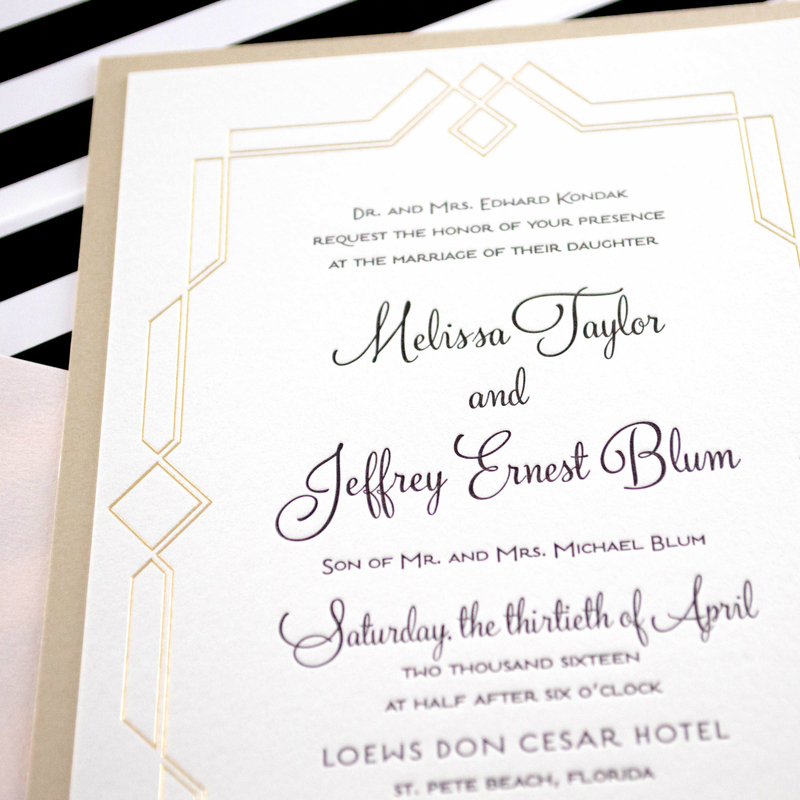 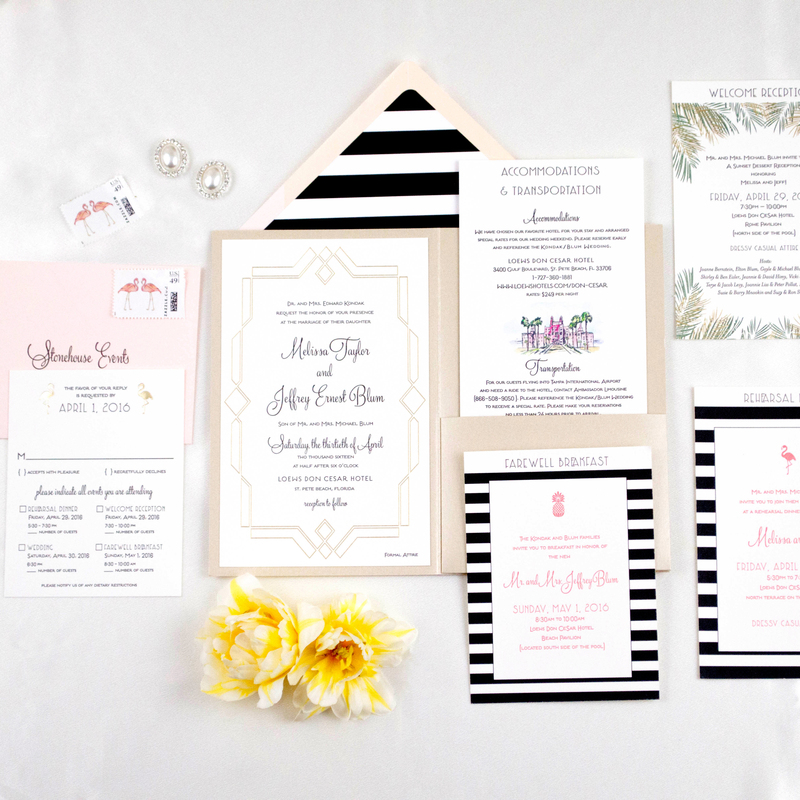 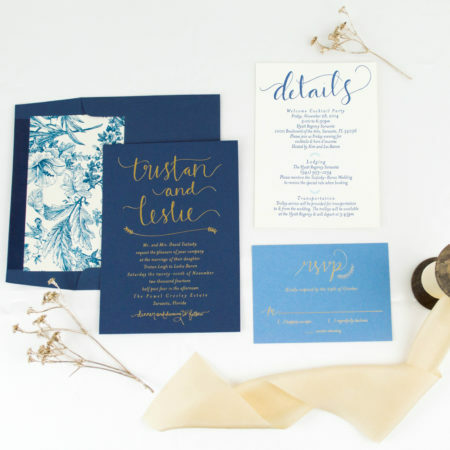 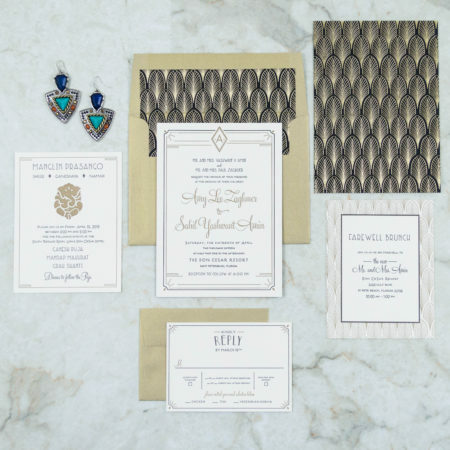 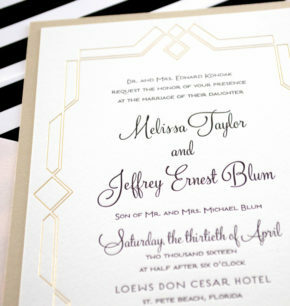 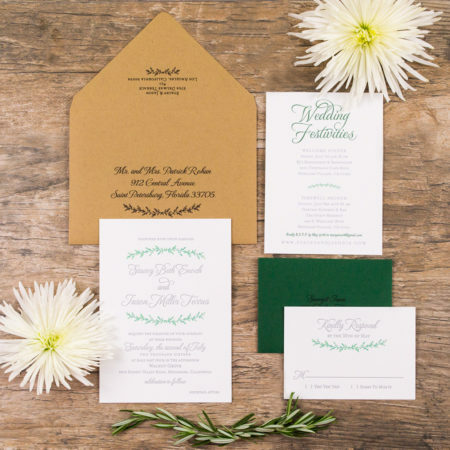 We used so many beautiful elements to accentuate the 1920’s look by incorporating a Gatsby-inspired font, beautiful gold-foiled touches, and black-and-white stripes details. 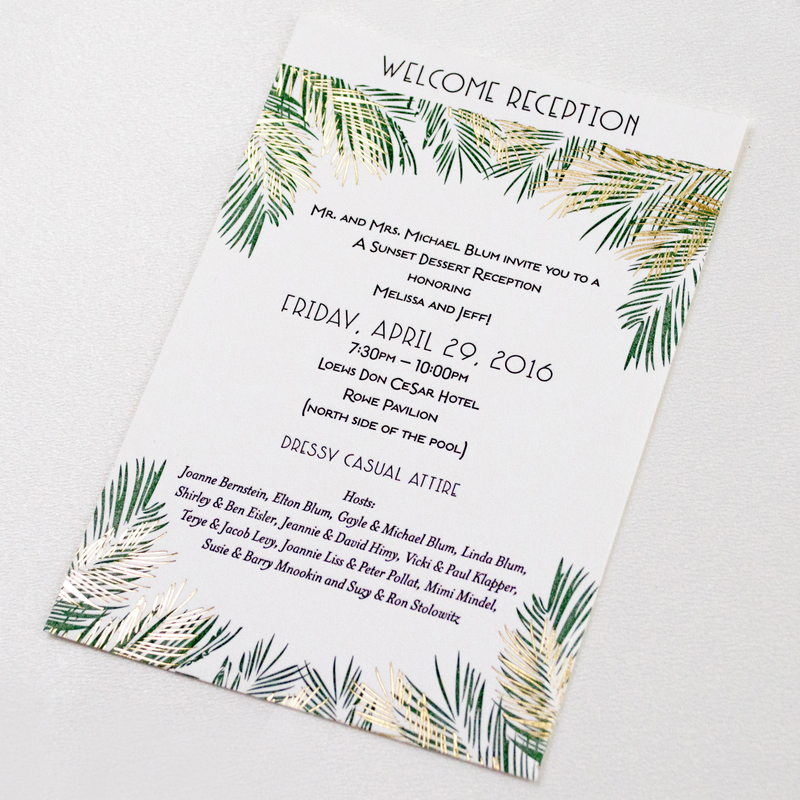 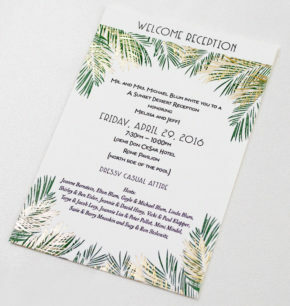 To incorporate the Florida feel, we displayed tropical elements such as palm leaves, pineapples, and flamingoes throughout the rest of the paper goods. 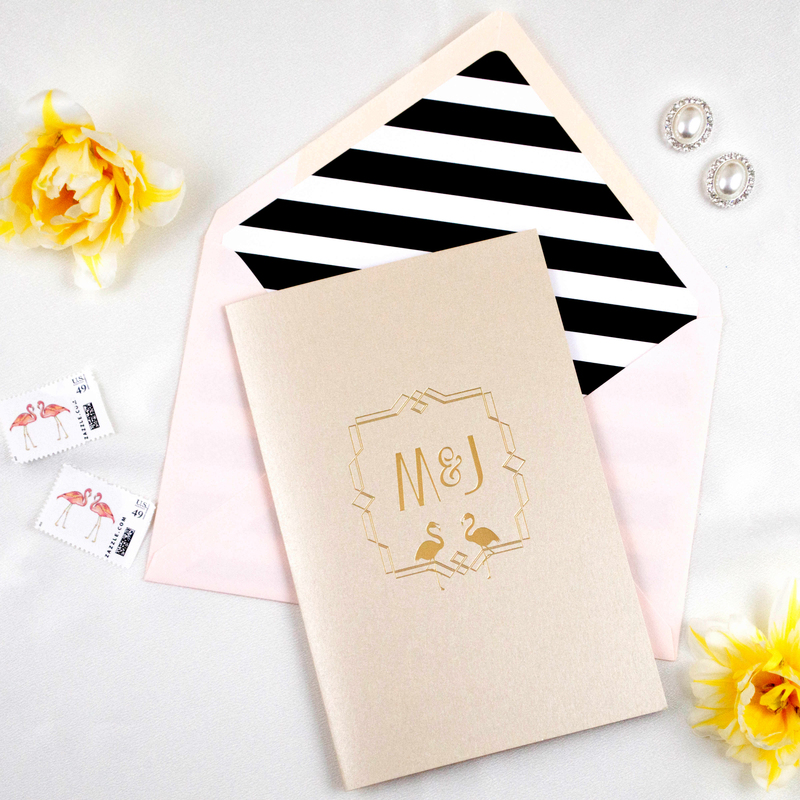 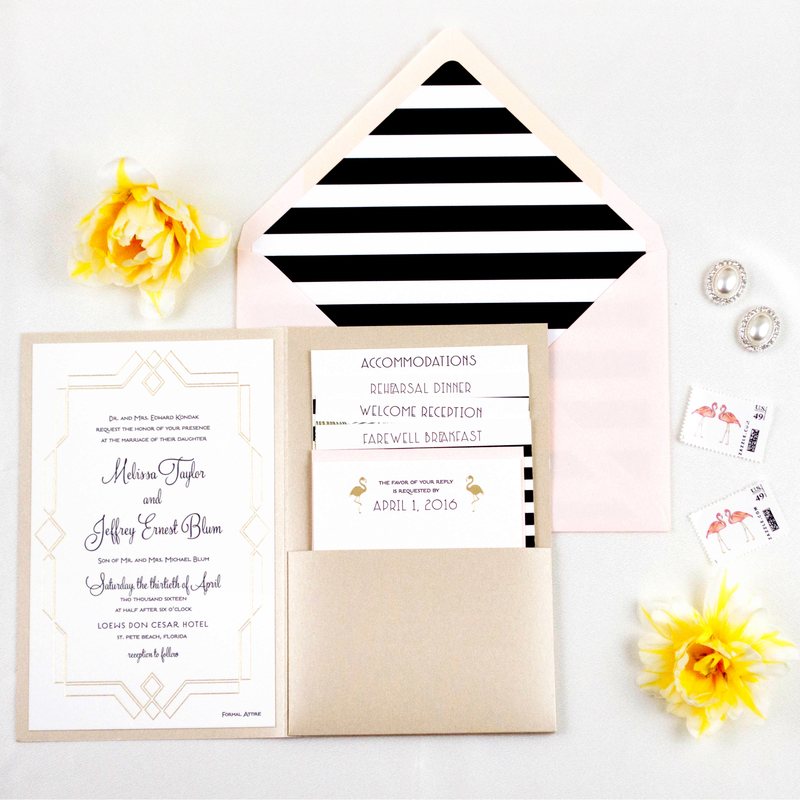 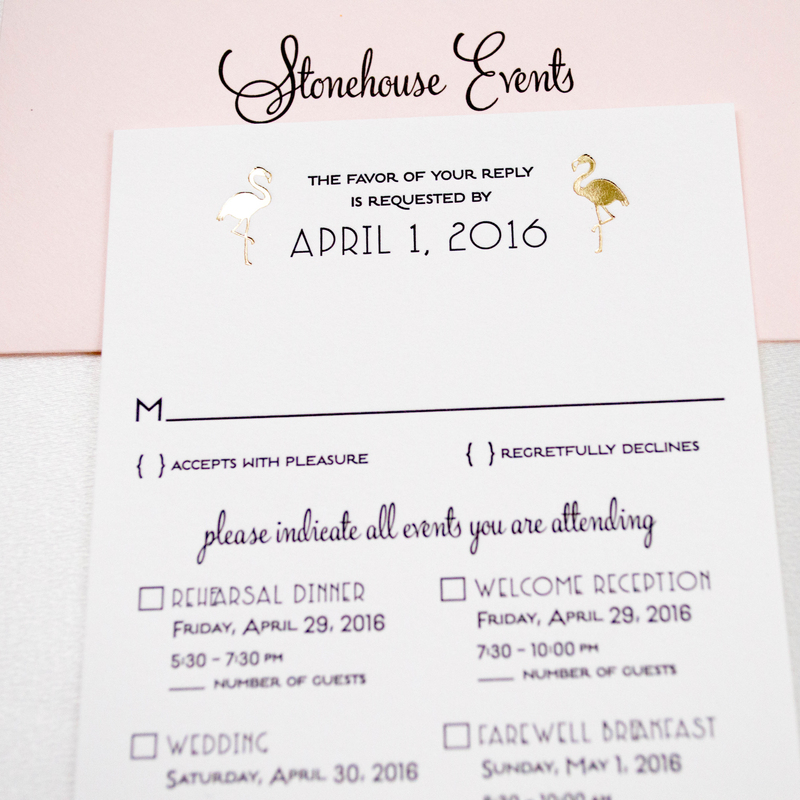 For the finishing details, we incorporated a hand drawing of the venue into the accommodations card, we mounted the invitation suite on a custom pocket-fold (champagne color), and paired each invitation with blush envelopes embellished with black-and-white stripes envelope liners.